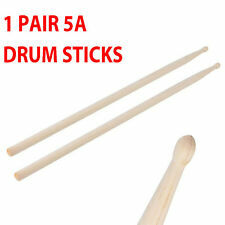 Pair 5A Green Plastic Drum Sticks Lightweight Fitness Exercise Drumsticks 4 oz. 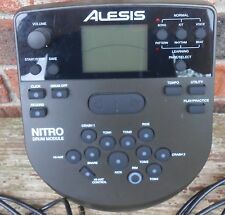 Alesis DM7X Nitro Percussion Module with Manual (without wire harness and power adapter). Cable harness and power adapter are NOT included. All are editable and can be easily tweaked to create your own unique drum kits and sounds. 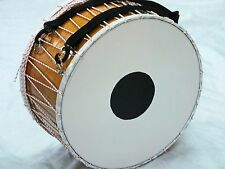 HOW TO TUNE TURKISH DAVUL. 45 cm round x 25 cm Deep. Both side plastic. No longer, the Trick 6.0 Drive Shaft (P1V6) is a free-floating drive shaft with zero backlash. 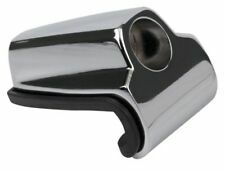 The magic stems from a lightweight CNC precision machined components coupled with eight roller bearings. The Alesis Nitro module is loaded with sounds and features. All are editable and can be easily tweaked to create your own unique drum kits and sounds. With 385 drum and cymbal sounds, the possibilities are endless for customization on the Alesis Nitro. If you’re not satisfied, neither are we. It’s that simple. Heavy duty, double stitch, double pull zippers. When you're going to and from a gig, you have enough to worry about and carry. The bag also features 3 exterior pouches, one on each end for smaller pieces, and a longer one for your drumsticks. If you’re not satisfied, neither are we. 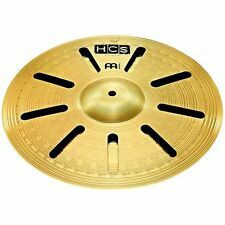 On top of that, this cymbal's crisp, glassy effect easily pierces through the massive roar of distorted guitars, so you don't have to play hard to be heard. New Gear: If you’re not satisfied, neither are we. Logarhythm MK3. Not least of those is Italian guitar virtuoso Massimo Varini whose logo adorns the stomping surface. If you’re not satisfied, neither are we. It’s that simple. Light and portable. Black 18x24. They are finished in classic black and are available in individual sizes: 18"x24", 18"x22", 18"x20", 16"x16", 14"x16", 12"x14", 11"x13", 10"x12", 9"x10", 8"x8", 7"x13", 6.5"x14", 5.5"x14". Add Trashy Crash to Your Kit with This Cymbal Stack. Stacked cymbals with holes to boost trashiness and bite. New Gear: If you’re not satisfied, neither are we. It’s that simple. 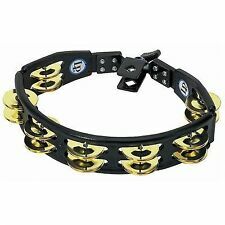 Durable MS63 brass alloy holds up and maintains excellent tone. If you’re not satisfied, neither are we. It’s that simple. 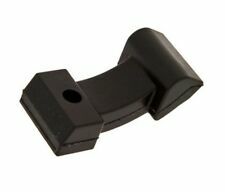 This durable, double-braced stand is ideal for most any manufacturers' e-drum sound module or multi-pad. Your very first step into cymbals is a big one. 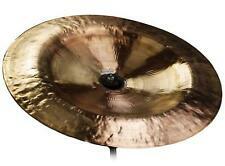 But Sabian makes it easy with the sbr Performance Set. Stamped with the Sabian logo, the looks and sounds of this series put it in a class of its own. 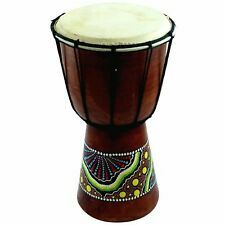 Excellent as a multi-percussion mallet for cymbals, small gongs and light drum work. If you’re not satisfied, neither are we. It’s that simple. Meinl Percussion HE-3000 Aluminum Doumbek, Synthetic Head 8 1/2" X 17 1/8"
Available in two different finishes with a synthetic head that allows for all the special playing technique. Acoustic Guitar Strings. Bass Guitar Strings. Electric Guitar Strings. Synthetic head. ALUMINUM DOUMBEKS 8 1/2" X 17 1/8". 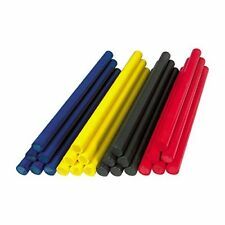 15.5ft LED Drum Kit lights (300 led lights total). There are wires on both ends and you can cut the strip one without soldering and then cut to fit each drum. colors are: Blue Red White Green Orange. The BIG GIG bag features Take your 12 minute drum solo in the middle of the 3 minute pop song the bassist wrote. Screw these limitations! Or don't change at all. Works perfect. Cymbals Unlimited wants to help you get the best bags at the best prices. 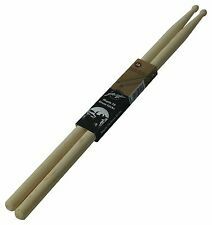 SONOR JAZZ WOOD TIP DRUM STICKS BY VIC FIRTH. We are based in Cardiff, UK. 12 PAIRS (BRICK). The durable synthetic head easily and quickly changes range from deep, resonant "doum" lows to snapping, ringing highs that both fully project. With the rim sitting flush to the head on these models, finger-snapping techniques are easily executed. Internal Fixed snare wires. Baltic birch construction. Acoustic Guitar Strings. Bass Guitar Strings. Electric Guitar Strings. © 2017 Strings For Less. Rounded Corners for added comfort. Guitar Cables. 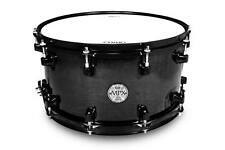 With 14" HD Dry Snare Drum Batter Head. Evans G2 series, one of the most popular drum heads on the market, features two plies of 7mil film that provide a high level of consistency and durability. The perfect blend of depth, sustain and attack makes small toms sing and floor toms growl. This case will accept 24" cymbals. The best cymbal case you will ever own. 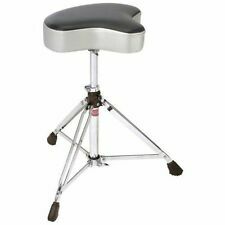 Percussion Plus Double Bass Pedal with Free Bag! Bass Drum Anchor - Brand New!!!!! !